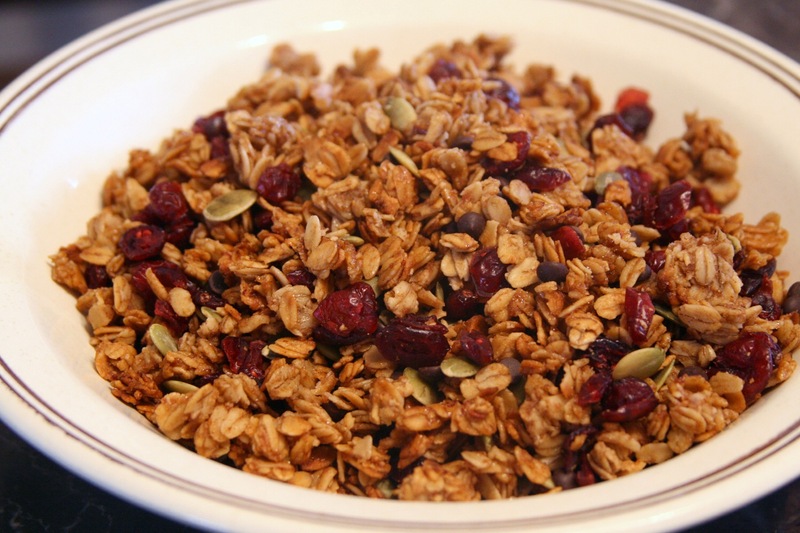 Homemade Granola Clusters | I Can Run, So I Will! Allergy friendly breakfast is always the hardest for me to come up with. We exclude eggs so having a fast meal to start the day is a daunting task at times and I’m always looking for fast and frugal options. These can be eaten by the handfuls, in milk of choice as cereal, mixed with chocolate, dried fruit and/or seeds as a party mix, or further combined into granola bars. Behold, my Oat Cluster recipe. Mash banana and whisk with oil, honey, vanilla, cinnamon, and 1/4 tsp salt. Once oven is heated, Add oats and stir. Do not let oats sit in wet mixture too long. Pour onto a baking sheet and bake at 275 for 40 min, stirring every 15 min (twice). Increase heat to 350 degrees for 10 min, pull out to stir and drizzle honey over top of the oats. Continue to bake for another 10 minutes. The oats should be browned but not burnt. **Here is the important part to make nice clusters! Right after removing the oats while they are still hot, stir and then drizzle honey over the top and 1/4 tsp salt. Then use a spatula to push the oats down onto the cooking sheet. Let sit to cool for about 15 minutes than use the spatula to break into clusters. After fully cooled (I leave them out over night), add additional items such as Organic Raw Pepitas or Chocolate Chips . Store in a plastic tupperware or ziploc bag.